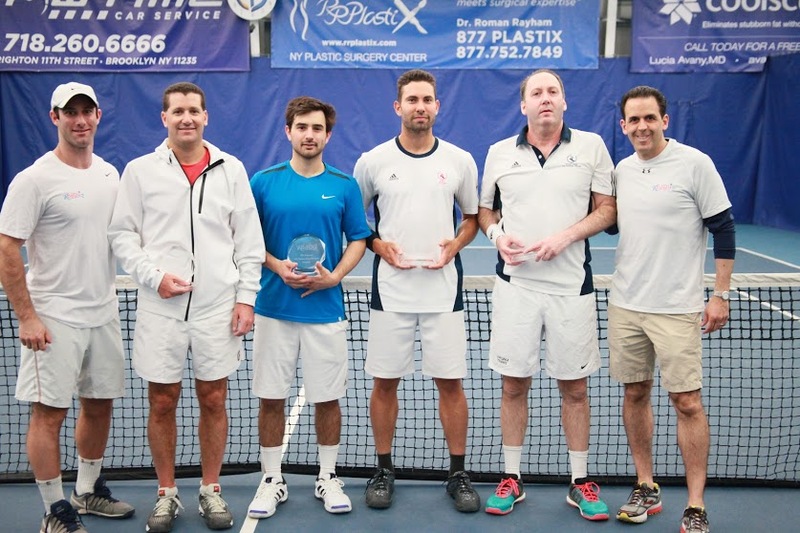 Some of the finance industry’s biggest names came together to compete in a different venue on Saturday, April 16, competing in the sixth annual R Baby Foundation New York Tennis Tournament at MatchPoint NYC in Brooklyn. The event was founded by Jason Pinsky of Table Management and co-hosted by Jeffrey Appel of Broadband Capital. The event has been a success ever since. This year’s tournament, which included a Calcutta Auction beforehand, raised close to $250,000 towards the R Baby Foundation. The foundation began in 2006, when Andrew and Phyllis Rabinwoitz lost their daughter Rebecca at nine days old after she was misdiagnosed at a local Emergency Room. The foundation now partners with top children’s hospitals to train community hospital’s Emergency Rooms where most children are seen. In the six years of the tournament, the event has raised nearly $1.5 million. That money helps fund programs at hospitals in the tri-state area including telemedicine with pediatric experts, mobile simulation training program, symposiums and much more. There were 20 doubles teams competing in the tournament, including some of Wall Street’s biggest names: Bill Ackman, Founder and CEO of Pershing Square Capital, who partnered with Pinsky, a former standout at UPenn and #1 ranked junior player, David Einhorn, Founder and CIO of Greenlight Capital, who partnered with former champion and Division I college standout Brian O’Connor of insurance management firm, American Business. Rob Pohly, the CIO of Samlyn Capital Management, who played with former Yale standout Marc Powers, Josh Targoff, COO of Third Point Capital, who teamed up with former American University player Jarred Snyder, Jeremy Mindich, Founder and CIO of Scopia Capital, who played with Head of West Rock Tennis Academy and Mexican Davis Cup co-Captain Adrian Contreras, Pershing Square Capital COO Tim Barefield, who played with former tour player and current hitting partner of the Bryan Brothers Georgy Chukhleb, Bruce Richards, Founder and CIO of Marathon Asset Management, who partnered with former tour player and current Financial Advisor for Morgan Stanley Thomas Blake, and Lawrence Penn, Co-Founder and President of Ellington Financial Group, who played with Jon Pastel, a former professional player and current Senior Salesman at Alliance Bernstein. On the court, the tournament played host to some high-quality and competitive tennis. In the final, it was the defending champion Jeffrey Appel, who partnered with Adam El Mihdawy, defeating Rob Pohly and Marc Powers 6-3 in the finals. The tournament was made possible because of the generosity of the players and the graciousness of MatchPoint NYC and its Co-Founder Nino Muhatasov, who played in the tournament along with former Australian Open doubles champion Alona Bondarenko. The New York Tennis Tournament continues to be one of the top tennis charity events around, and is one of the biggest and most successful events put on by the R Baby Foundation. David Einhorn sets up a backhand during the tournament. The tournament's founder, Jason Pinsky, hits an acrobatic jumping shot. The eight quarterfinal teams from the sixth annual R Baby Foundation New York Tennis Tournament. Jeff Appel fires a serve during his quarterfinal match. Appel and partner Adam El Mihdawy went on to win the tournament. Bill Ackman sets up a forehand during his quarterfinal match.